HP8 Selenium Vitamins | Healthy Living Program | Health Products Online - American BioSciences Inc. 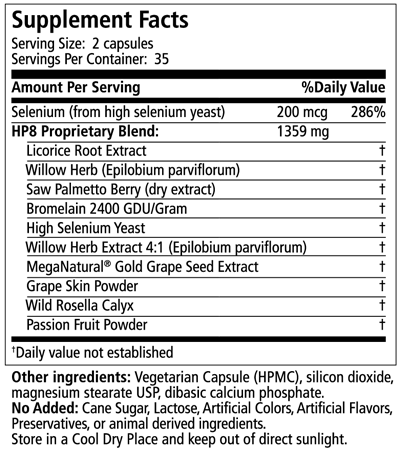 Active Ingredients: 200mcg of Selenium per capsule. If you’re like a lot of men, you’ve discovered that many prostate health products online are a complete waste of money. Even if you take a fistful of supplements everyday as part of a healthy living program, these products often don’t provide the results you’re looking for. Or even worse, they can leave you with embarrassing side effects. Scientists in Australia uncovered a breakthrough and used their technique to create a unique and powerful prostate formula: HP8. HP8 was researched by a team of scientists from the prestigious Southern Cross University in New South Wales, Australia, home to one of the world’s foremost phytochemistry research facilities. Utilizing their new scientific technique for analyzing how individual herbs work together, they were shocked to discover that many herbs—when combined in a formulation— actually cancel each other out! Taking fistfuls of supplements, or a formula that combines several prostate herbs together, does not necessarily mean they’ll accomplish what you need them to do. 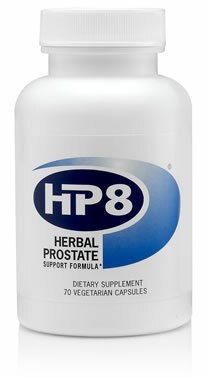 HP8 is one of the world’s most scientifically advanced prostate supplements. The Australian researchers isolated and analyzed the activity of many herbs. After several painstaking years, their search was complete. They isolated eight of the safest, most potent, and highly-effective natural compounds needed for prostate health. Why is HP8 different from every other prostate formula out there? Exhaustive scientific analysis proves that each and every one of the eight ingredients in HP8 works synergistically together, providing maximum prostate health and giving you back full control. You’ll feel noticeable results in just days! Manufactured to stringent pharmaceutical industry standards at an Australian, government-approved facility. That’s just the beginning of the benefits. If you’ve ever taken a long car ride and sped up to get to the next rest area in time or rushed back to the clubhouse when playing 18 holes or had too many sleepless nights, then there’s a good chance your prostate has taken control of your life. For many years, your prostate has worked hard for you, so hard, in fact, that you never even thought twice about it. But almost every man at some point in his life needs to pay extra attention to it. Whether it’s due to age or hormones, the prostate needs added support to function properly so you can stop thinking about it and enjoy life! Has your prostate formula been subjected to the crucial method of cell-cycle analysis? Have the ingredients in the formula been studied using the investigative procedure of flow-cytometry? Have isolation techniques been applied to the combination of ingredients to make sure they’re compatible with each other, and don’t cancel each other out? If you don’t know, you should find out! Or play it safe with your prostate health and only take HP8, because with HP8, the answers are YES, YES, and YES to all three questions! Saw Palmetto — Commonly known for research in various prostatic conditions. Willow Herb Leaf — Used as a remedy in folk medicine, particularly in Central Europe, for various prostate functions. Wild Rosella Calyx — An antioxidant that contains high concentrations of anthocyanins. Grape Complex Seed and Skin — One of nature’s most powerful antioxidants. Passionfruit Seed — Typically given as digestive stimulants. Bromelain — A mixture of protein-digesting enzymes made from the stem of the pineapple. Selenium — The antioxidant properties of selenoproteins help prevent cellular damage from free radicals. Directions for use: As a dietary supplement, take 2 capsules per day. For maximum benefit, take 4 capsules per day. 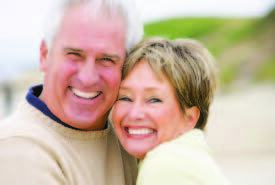 Take at least one hour from prescription medications or other dietary supplements. Caution: Keep out of reach of children. Not intended for women or children. If you are taking an anticoagulant or blood pressure medication, or are being treated for liver, heart or kidney disorders, consult with a healthcare professional before use. This product contains licorice root, which in some people may cause change in blood pressure. If you experience changes in blood pressure while taking this product, discontinue use and consult your healthcare provider. California Prop 65 Warning: This product contains chemicals known to the State of California to cause cancer and birth defects or reproductive harm. For more information on Prop 65, click here.